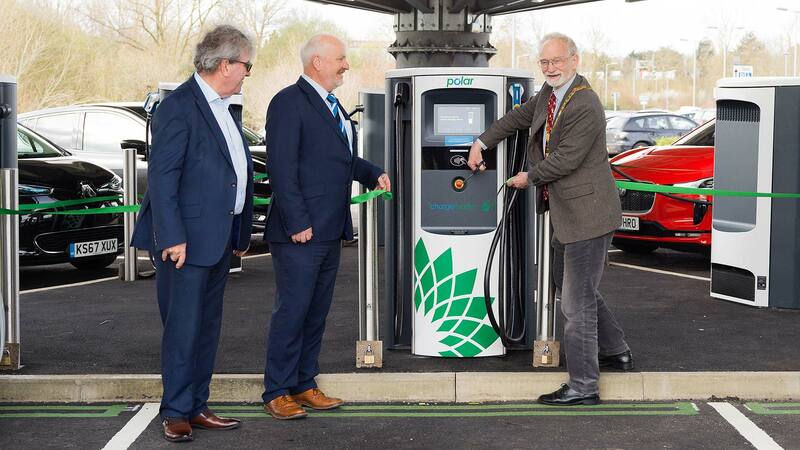 The largest electric car rapid charging hub in Britain has been officially opened in Milton Keynes by local councillors. The site, located ‘less than one minute’ from junction 14 of the M1 at Milton Keynes Coachway, houses eight 50kW rapid chargers. They are universal devices that support all standards of electric car rapid charging. 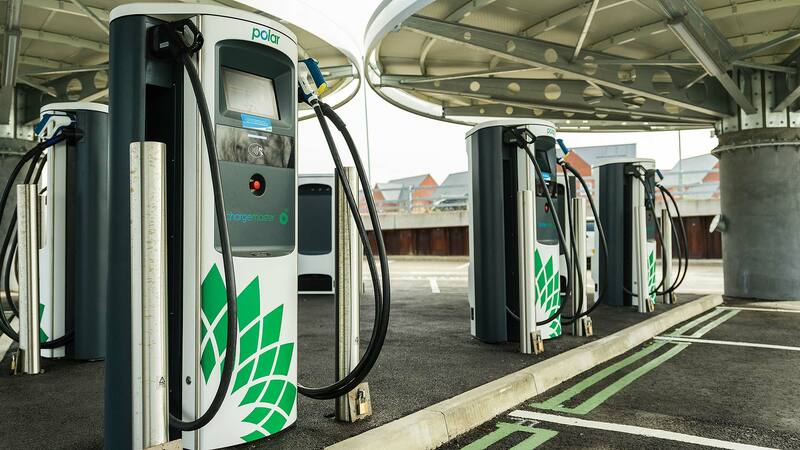 The site is being run by BP Chargemaster and operates on the Polar network, Britain’s largest public electric car charging operation. Chief executive David Martell called it “a fantastic, convenient place to charge for drivers travelling within and around Milton Keynes”. 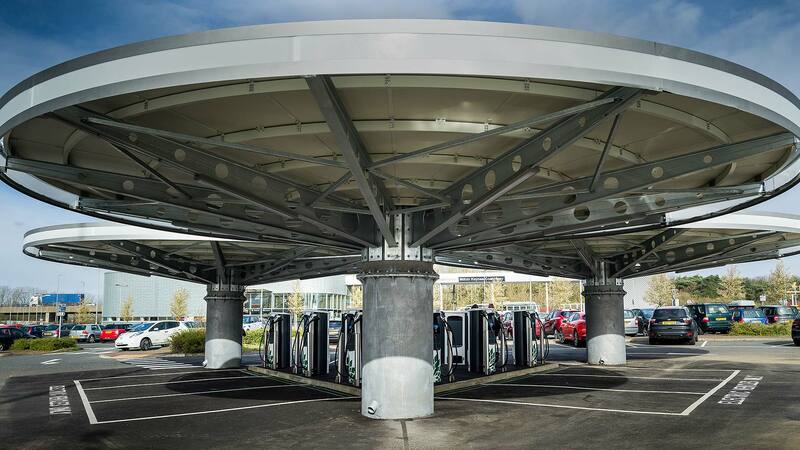 There’s a café at the main coachway building and the rapid chargers are housed beneath three large canopies (which are ‘highly visible’ to help first-time visitors locate the EV charge points. 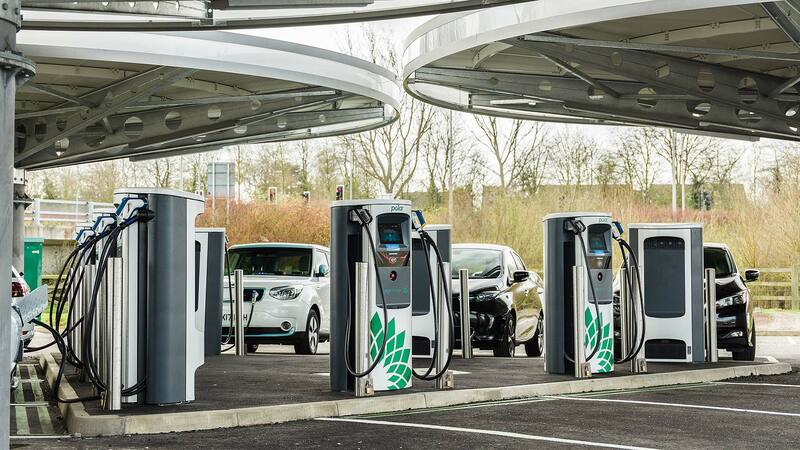 The rapid chargers are in addition to the 300 fast-charge and 65 rapid chargers already operating in the area, ‘which has established itself as a centre of excellence for electric vehicle charging infrastructure’. Milton Keynes Council’s head of transport innovation, Brian Matthews, said the site would also support electric car drivers using the M1 for longer journeys too. 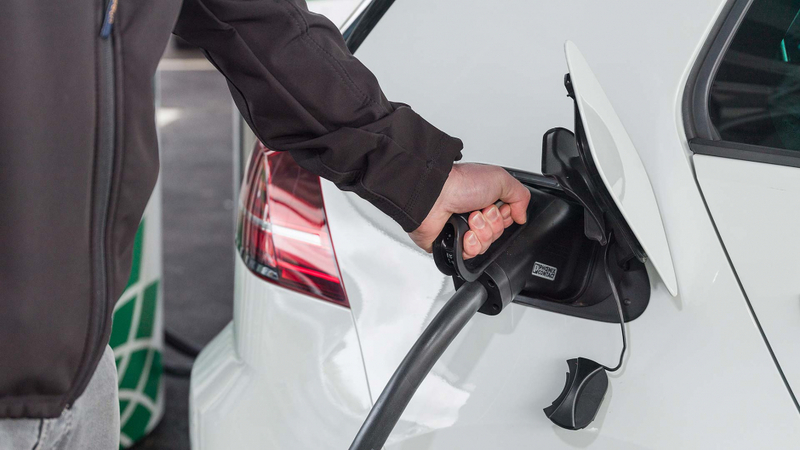 It’s part of a series of initiatives the council has rolled out to support EVs, including Green Permits that give free parking in most car parks, and a commitment to provide local charging points for those who do not have off-street parking. 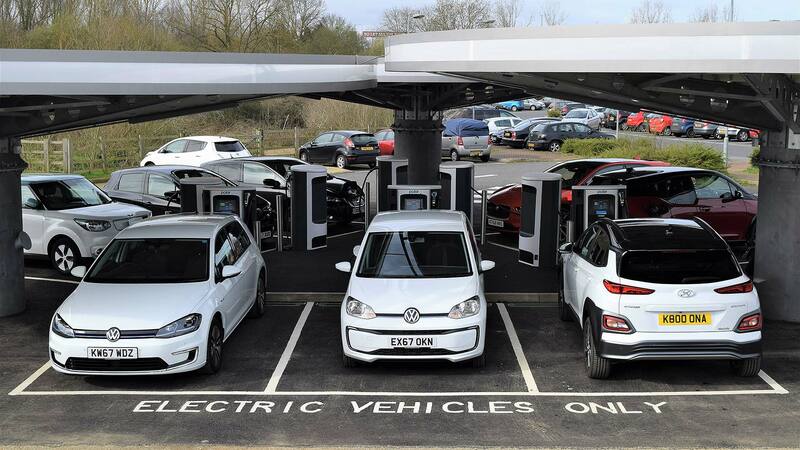 The Milton Keynes EV rapid charge hub was built with the help of a £9 million investment package from the Office for Low Emission Vehicles (OLEV).